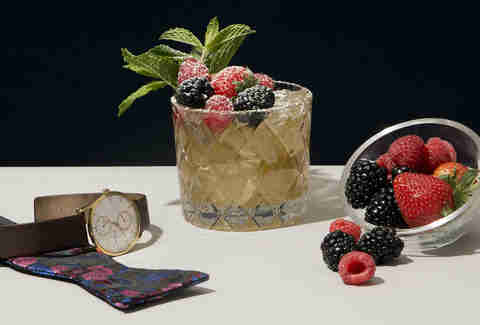 The Kentucky Derby is almost upon us, meaning that mint juleps are now compulsory. To keep yours extra special and way better than your friends' (especially Kevin's) we hit up Midtown bartender Chris Sinclair for his original take -- inspired by 19th-century cocktail pioneer Jerry Thomas. Don't know who that is? That's fine. Just make the drink, man. It's good. The "Adjunct Prof" Jerry Thomas' Julep. In the bottom of a highball glass, place your mint and simple syrup. Gently muddle the mint essence into the syrup. Pour in the Cocchi Americano, Ancho Reyes Liqueur, and the bitters. 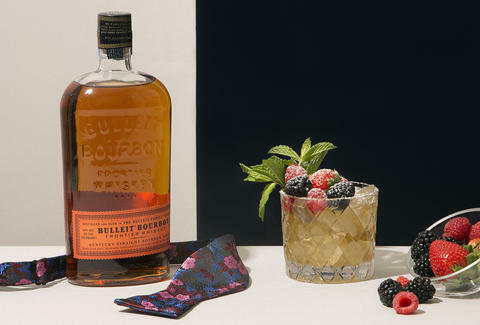 Scoop crushed ice into the glass, and proceed to pour your bourbon over the ice. Gently stir all the ingredients together and top off with a little more crushed ice. Garnish abundantly and dust powdered sugar atop. Sip and let your worries of the day melt away.